My name is Jan Visser. My so-called 'permanent' place of residence (the one listed on my passport) is currently France, but I also spend significant portions of my time working out of The Netherlands as well as the State of Florida in the USA, at least as long as I am not traveling in other parts of the world. Over the years, I lived and worked for the larger part of my life outside my native country The Netherlands, 20 years of which in Africa, and I have a lifetime career of working transnationally, feeling particularly attached to the ideas of a united world whose citizens are conscious of their planetary responsibilities. This probably makes me more of a planetary citizen than an inhabitant of any particular country, which leads me to adorn this page with the flag of the United Nations, a symbol that relates to the spirit in which I worked for a significant portion of my career and that continues to inspire me more than any national flag. I am President and Senior Researcher at the Learning Development Institute (LDI). You can sign up as a 'fan' with the Learning Development Institute on Facebook). In a previous incarnation I was UNESCO's Director for Learning Without Frontiers. I am a theoretical physicist by inclination and original vocation and training. However, over time, my interest and concerns evolved from quanta, via molecules, to living and learning human organisms and the social entities in which they self-organize (see also From molecules to learning human organisms and communities). I spent much of my professional life educating people, among other things about different aspects of the sciences, including their philosophical underpinnings, their historical and cultural relevance, their intimate connection with the arts, and the role of science in society. I am currently particularly interested in finding out how we can improve the conditions of learning as well as enhance the nature of learning around the globe. WikiEducator seems to me an interesting opportunity to pursue that quest. As to my academic achievements, I obtained my degrees as a theoretical physicist at the Delft University of Technology in The Netherlands and those as a learning scientist at the Florida State University in the USA. My thesis work as a physicist focused on non-linear effects in the interaction of radiation with matter. My thesis work as a learning scientist in the area of instructional design explored and validated ways to make motivational communication an integral part of the facilitation of learning in face-to-face contexts. I hold the view that such formal learning achievements as listed in the previous sentences are but a minor part of one's existence as a lifelong learner. I thus attribute greater value to what I learned after I established my formal academic credentials. Such learning beyond what can formally be certified has often been based, in my case, on solving problems in practical contexts of professional engagement, but significantly also have I learned through self-organized efforts to interact with more or less structured learning opportunities that always seem to come my way. I infrequently maintain a blog on The Meaning of Learning. I also pursue multiple additional interests that are less directly related to my WikiEducator identity. So, I decided to describe them on a separate subpage. In large parts of the world, significant proportions of populations do not have access to schools that offer quality education. Even if, when and where formal schools exist, what they frequently offer is an inadequate response to learners' innate desires and needs to learn. By its very nature, mass education is limited in how it can attend to the huge diversity among learners and the purposes for which they learn. Not all learners find the formal schooling setting their ideal learning environment. Lifelong learners (I consider myself to be one of them) navigate a learning landscape that includes formal schooling and training in addition to a plethora of spontaneously emerging and self-organized learning opportunities, which they exploit to their own and their fellow (lifelong) learners' benefit. They often build bridges between the wolds of formal and informal learning and are particularly astute in making their own choices to continually adapt their own learning behavior to their autonomous vision of how they wish to interact with the world around them. I have written about these matters, and served as editor for contributions received from leading learning scientists on this issue, in a book on Learners in a Changing Learning Landscape: Reflections from a Dialogue on New Roles and Expectations, published by Springer in 2008. To implement my mission I signed up for the WikiAmbassador program. I will vigorously pursue my ambassadorial duties as described in that program. As a researcher of human learning I am particularly interested in its study as a naturally occurring phenomenon, the characteristics of which are primarily determined by those who learn and the circumstances and environments in which they operate, as opposed to learning induced and programmed by outside agents. Some such 'naturally occurring learning' takes place in planned learning environments. When that happens it does so despite the planning rather than as a consequence it. Yet, planned learning environments have different degrees of 'friendliness' towards allowing unplanned learning to occur in addition to what is being planned for. In the above context I have grown increasingly interested in the role played by Open Educational Resources (OER) and learning resources in general when access to them is either open or easy, i.e., when such access is not hindered by constraints on the part of the learners' material means. The extent to which the latter condition can be satisfied obviously depends on the overall circumstances; it is clearly different in, say, most parts of Africa, when compared with prevailing conditions in Europe or North America. I attribute priority in my research to the overall impact of learning--such as for instance demonstrated in a change of mindset, way of being, overall disposition, or value system--over and above learning gains as expressed in terms of narrowly defined acquired competencies. Nonetheless, I don't exclude researching the detail if it helps to get a better understanding of changes in holistic behavior. The project briefly outlined below and more fully described on the relevant For the Love of Science project page is a typical example. From a narrowly defined perspective it may look like being about science education, about making people familiar with certain pieces of scientific knowledge and providing them with the skills to interpret their world based on scientific evidence. It is not, or, better perhaps, it's not that alone. It is about creating different mindsets and thereby about changing the ways in which people are present and act in the world. My research perspective as outlined above is influenced by how I define human learning as "the disposition of human beings, and of the social entities to which they pertain, to engage in continuous dialogue with the human, social, biological and physical environment, so as to generate intelligent behavior to interact constructively with change." The rationale underlying this definition can be found in the chapter on Integrity, completeness and comprehensiveness of the learning environment: Meeting the basic learning needs of all throughout life that I contributed to the International Handbook on Lifelong Learning, edited by D. N. Aspin, J. D. Chapman, M. J. Hatton, & Y. Sawano and published in 2001 by Kluwer Academic Publishers (now Springer). Subsequent publications as well as the work by others in this area have deepened my insight into human learning as an ecological phenomenon. Cover of Book 10 (English language edition). Cover of Book 1 (Spanish language edition). at the University of Pisa in Italy. Roy is also the series editor for the books. Roy is a renowned scientist who has contributed greatly to the growth of his field. But he has also always had a passion for sharing his knowledge and helping his students construct their knowledge "from first principles." To familiarize yourself with Roy's thoughts and motivations you may want to read his brief paper, recently presented at the Third Advanced International Colloquium on Building the Scientific Mind, with the title Some problems of science education in a world with an exploding population and enormous disparities of affluence and poverty. Books so far produced under this initiative cover areas of Physics, Mathematics, Chemistry, and the Earth Sciences). Several books covering areas of the Life Sciences are in the process of initial conceptualization as well. the beauty of literary expression, including through mathematical symbol systems. Furthermore, familiarity with LaTeX is essential. Though the materials developed as part of the For the Love of Science initiative cannot be made available via the WikiEducator because of their different Creative Commons licensing status, we are nevertheless interested in building a user community of learners and facilitators under the WikiEducator umbrella. Such a user community can then develop complementary materials, such as exercises, guide books, etc, that can be used in conjunction with the For the Love of Science materials. Such complementary materials can then be shared and collaboratively authored as part of the WikiEducator efforts. 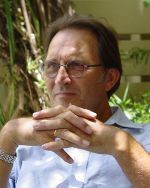 Series editor Roy McWeeny, Professore Emerito di Chimica Teorica, Università di Pisa (Pisa, Italy). Book 1. 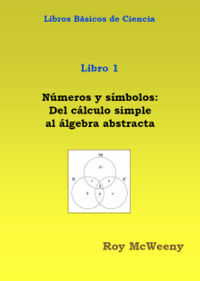 Number and symbols -- from counting to abstract algebras by Roy McWeeny. Book 2. Space -- from Euclid to Einstein by Roy McWeeny. Book 3. Relationships, change -- and Mathematical Analysis by Roy McWeeny. Book 3A. Calculus and differential equations by John Avery. Book 4. Motion and mass -- first steps into Physics by Roy McWeeny. Book 5. Atoms, molecules and matter -- the stuff of Chemistry by Roy McWeeny. Book 6. The planet we live on –- starting on the Earth Sciences by Chris King. Book 7. Principles of life –- from one cell to many. Book 8. Evolution -- a billion years of animal-building. Book 9. Evolution--from molecules to genes and genomes. Book 10. 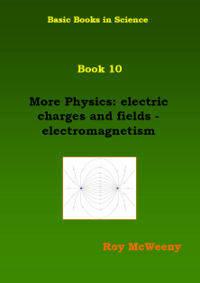 More Physics: electric charges and fields –- electromagnetism by Roy McWeeny. Book 11. The quantum revolution by Roy McWeeny. The entire series is being created under the editorial responsibility and visionary leadership of Roy McWeeny. Four authors from the area of the Life Sciences have come forward thanks to collaboration with the European Molecular Biology Organization. They are the prospective authors of Books 7, 8, 9, and 12. They are Maria Christophorou (University of Cambridge); Toni Gabaldon (Center for Genomic Regulation, Barcelona); Maurijn van der Zee (University of Leiden); and Jordi Villà i Freixa (Universitat Pompeu Fabra, Barcelona). English language titles of the Basic Books in Science can be downloaded from the For the Love of Science pages at the Learning Development Institute as well as from the Library segment of the Web site of the Pari Center for New Learning. Los Libros Básicos de Ciencia ya traducidos al Español pueden descargarse de las páginas web del Learning Development Institute sobre Por amor a la ciencia. 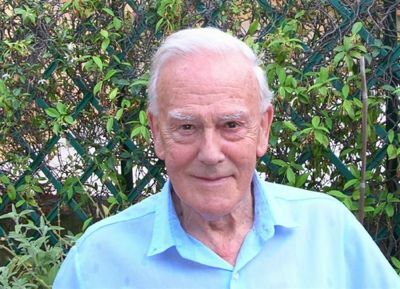 More about Roy McWeeny can be found by accessing his personal profile with the Learning Development Institute and in the biographical information available at the Web site of the International Academy of Quantum Molecular Science. Information about John Avery is available in the following entry in the Wikipedia as well as in his personal profile with the Learning Development Institute. Information about Chris King can be found on his personal page with Keele University. talk to me in this wiki. I shall be happy to oblige. The development and distribution of Open Educational Resources (OER) is an obviously good thing, particularly for those parts of the world where access to quality educational materials is limited or absent. It is also good from the perspective that both the production and use of such materials in an open setting tends to lead to more dialogue and more collaboration. This supports the idea that learning is in essence a dialogic phenomenon. The mission of WikiEducator is "Working collaboratively towards a free version of the education curriculum by 2015." I feel uncomfortable with it because I think it's too limited a mission. The assumption seems to be that there is some sort of globally accepted curriculum that suits everyone. Besides, the notion of 'curriculum' is quite closely linked to the discourse about schooling, which may imply that there is a bias in the WikiEducator philosophy towards formal educational processes. Creating OER should, in my view, result in allowing diverse users through diverse means in diverse contexts to learn in diverse ways for diverse purposes. The WikiEducator discourse remains too close, in my view, to the classroom metaphor. The validity of collaboratively developed OER is an issue that requires attention. The Scholarpedia approach seems an interesting way to circumvent the potential problem of loss of validity. Unmoderated collaborative authorship, absence of peer review, tolerance towards anonymously submitted contributions are all contrary to traditional ways of establishing validity of knowledge production and knowledge presentation within disciplinary communities. One may argue that the traditional mechanisms have a tendency to discourage the emergence of novel and unconventional ideas, but this hardly seems an issue in the area of the development of educational materials, unless one wishes to defend that, e.g. in the area of science education all kinds of pseudo-scientific views ought to be part of what should be offered to learners. A concrete example would be the chaos that would result from 'collaborative' authorship about the origin and evolution of life forms on earth involving not only authors well versed in the life sciences of the day but also evolution deniers. Related to the above issue is the problem that users of collaboratively authored texts and other media are denied the opportunity to identify with individual authors. Excellence can no longer be seen as embodied in individuals. Consequently, as an individual learner one starts living in an environment in which knowledge is detached from those who embody it. I see this as problematic from a motivational perspective as well as from a moral perspective. The "reuse, revise, remix, redistribute" philosophy is probably fine as long as we deal with learning at a relatively superficial level. However, it may not serve, or even act contrary to, the interests of deep learning and deep understanding. As to the process of authoring I argue that the differences with traditional approaches to authoring are less dramatic than often assumed. While no doubt there is great openness in wiki based authoring, there is quite some openness as well in traditional authoring systems in the sense that established practices allow and encourage peer scrutiny. Properly designed instructional materials involve serious formative evaluation and thus user scrutiny. Thus, from an authoring perspective I think that both approaches can potentially lead to good quality. Access is obviously a different matter. I think everyone has a right to have access to the entire cultural heritage that humanity has produced. Such universal access is essential for the further evolution of humanity. However, providing open access is independent of the authoring mechanisms. Check out free wiki training under the Learning4Content project. This page was last modified on 14 September 2010, at 09:12. This page has been accessed 18,611 times.